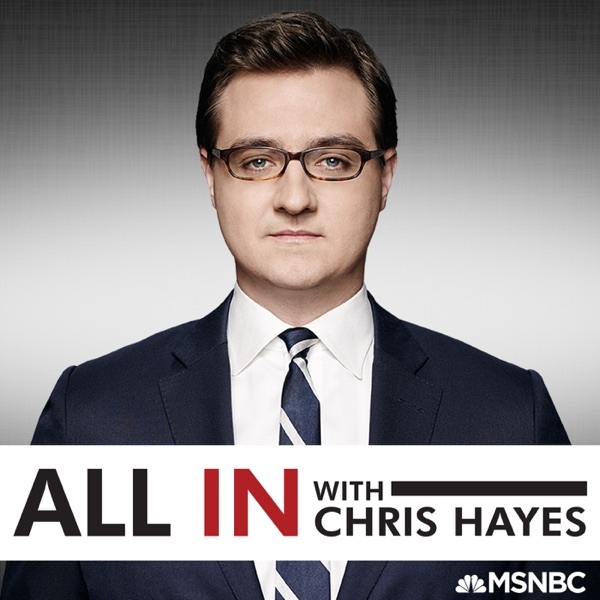 All In with Chris Hayes | Listen Free on Castbox. far out. We pay nothing for insulin in Australia. Am losing interest in Chris. Don't agree with his spins, ie, 'an already crowded field,' just after his guests made excellent points that the dems have room for many more qualified candidates, ergo not crowded field. It's like he didn't hear them at all. I'm unsubscribing now and I hope Chris's reporting matures. ROUNDUP as an advertiser. SERIOUSLY poisoning the environment. Time for a boycott if this is continues. roger stone smackdown? well, i can tell you have not spent your career working with criminals. the worst criminal actors- the pathological ones- when caught often grovel, say they didn't know what they were doing, promise never to do it again, humbly beg for mercy, cry real tears... and they don't mean a word of it. a very few criminals i ever worked with were as blatantly criminal-minded as stone. he taunted the court with that image and post on purpose, and his courtroom charade was designed to get away with what he did- to double-punk this judge for eveyone to see. criminals and cons, and anyone who has dealt with them know stone's master manipulation for what it is. i guarantee that he and his cohorts are celebrating his criminal prowess. If blackface is a minstrel and vaudeville tradition (seems consistent with the performance of the to be Governor), then what is the tradition of white supremacy, mysogeny, and pedophilia. More importantly why are you making them equal in their 'poor taste'? This show is beginning to sound like "The Chipmunks". Why are they talking so fast? I disagree with Brennan. He tried to blame Trump's influence for Flynn's disintegration. No. He was on Turkey's payroll beforehand, he had become a rabid anti-Islam nut years before, and Putin had already paid for Flynn to attend the RT event. Trump finds and enables criminals; he doesn't create them. Individual 1's fate is becoming increasingly like one in a Poe story. Thanks for the opportunity for Nancy's achievement as speaker of the house to be spelled out. It is absurd that she is being asked to step aside when health care was the top issue in this midterm. I love thing 1 & thing 2!